Mercury is a red fawn male who was found as a stray near Jacksboro, TX along with Garnet. He has tested positive to the tick-borne disease Ehrlichia Canis and will begin treatment now while he waits for a foster home. He is estimated to be about 2 years old. Mercury has not yet been tested with cats or other small animals. 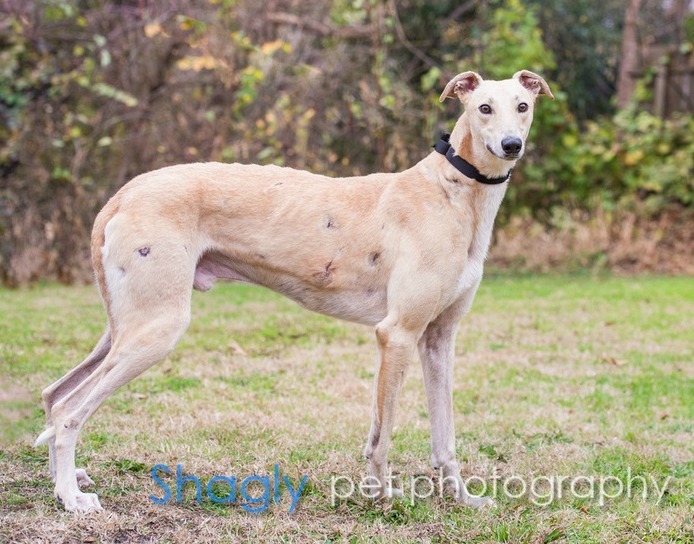 Mercury completed part of the three step process for the treatment of his Ehrlichia Canis. He will continue to receive treatment for the next 30 days at least. Mercury received a negative PCR test and is scheduled to be neutered the week of 3/16. The special medical treatment cost needed by Mercury is why the Miss Mesa Fund was established. If you would like to help with Mercury's care, please take a moment to make a donation to the fund. You can use a credit card, check or PayPal by making the donation through the GALT GreytStore. You can also write a check (Greyhound Adoption League of Texas, 3400 Carlisle St, #310, Dallas, TX 75204) and note Miss Mesa Fund/Mercury on your check. 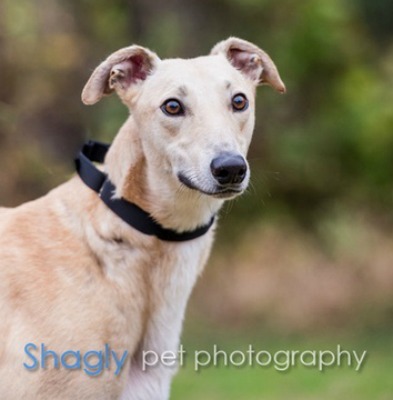 You WILL and CAN make a difference in Mercury's life and the lives of other greyhounds in need of special medical care. Your help and support will make a difference... one greyhound at a time.